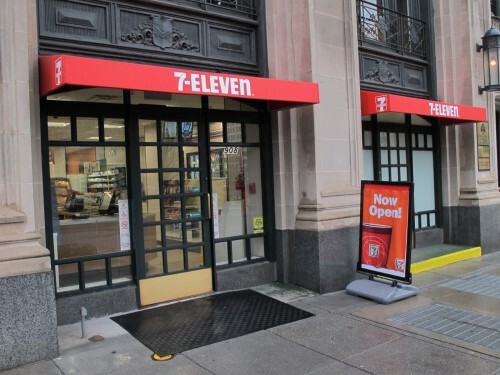 The new 7-Eleven has opened in the former Wasabi space just south of Connecticut and K Street, NW. “any point in spraying if your neighbors don’t”? Astoria from folks behind Copycat Co. opens today 5pm on 17th Street! !